When many people think about BOTOX®, they immediately imagine wrinkles. It’s true that it’s a solution injected into the facial muscles to smooth away wrinkles, but there’s so much more that onabotuliunumtoxinA can do for people. Knowing all the benefits can help you get the most out of this FDA-approved anti-aging super star. Drooping brows happen as people age because the skin loses elasticity. It’s a condition known as “brow ptosis.” Many sufferers are advised to eat more nutrient-dense foods, such as vegetables and fruits. Facial exercises can also help. However, sometimes those interventions don’t work, so BOTOX can be used to relax the brow muscles. This helps keep them from falling down by lifting the area and stopping the drooping effect. Do you suffer from excessive sweating? This condition, called hyperhidrosis, causes people to sweat even when the environment is cool. OnabotuliunumtoxinA injections block the neurotransmitters from being released from the body. Without these chemical messengers giving the signal to produce sweat, the condition is stopped dead in its tracks! The botulinum toxin can be injected into areas where sweat occurs the most, such as the armpits, feet, or palms of the hands. Migraine sufferers rejoice! 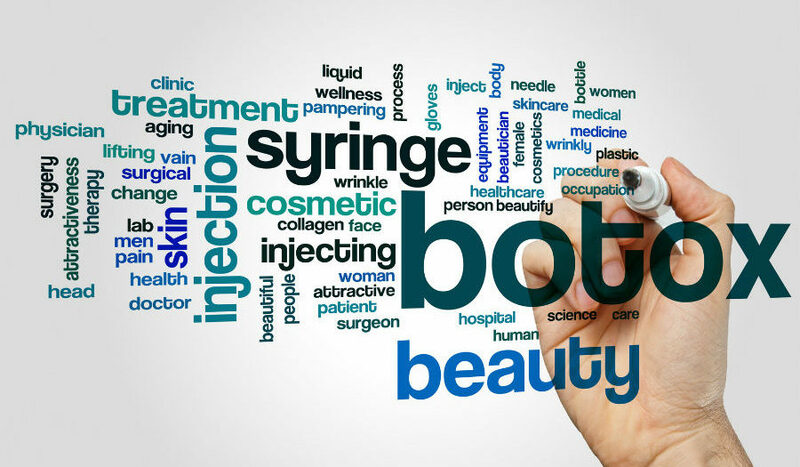 When medications haven’t worked, BOTOX can. With regular injections, the nerves that carry pain signals from the brain will be blocked, thus stopping the pain that migraines produce. It can help reduce both the frequency and intensity of these severe headaches. OnabotuliunumtoxinA injections can relax facial muscles that have tightened due to Bell’s Palsy. It can also help with the facial tics characteristic of the condition. If the solution is injected in the non-paralyzed part of the face, it can relax those muscles to help them looks more like the other side of the face, creating a more balanced appearance. Occasional eye twitches and squinting may not be a problem, but some people experience these annoying symptoms for long periods of time, which can be quite bothersome. The good news is that muscle relaxers can help stop the twitching and squinting of these muscles, making it go away. “Scrotox” is a phrase for when this muscle relaxer is injected into the scrotum. Since this area of a man’s body is naturally wrinkled, the solution smooths the area, which can increase confidence if a wrinkle-free scrotum is desired. According to Dr. Linda Brubaker, Dean and Chief Diversity Officer of the Loyola University Chicago Stritch School of Medicine, 70% of patients reported a reduction in the number of leaks they experienced per day when they received treatment. A study conducted in 2014 found that 52% of people who received BOTOX experienced a decline in the severity and episodes associated with their depression. Experts speculate it may have something to do with the changes in the facial muscles affecting mood. Allergan is currently conducting trials to see if depression can be treated with botulinum toxin A.